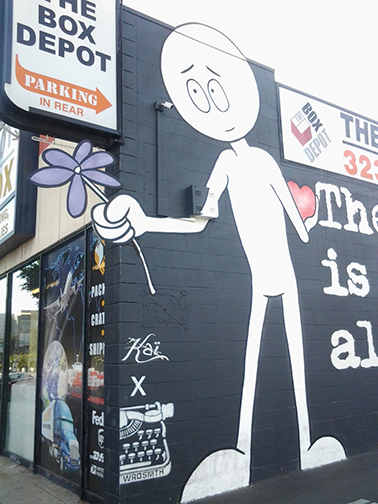 Southwest corner of Fairfax avenue and Beverly boulevard, 2017. Northern wall of The Box Depot. Wrdsmth x Kai. 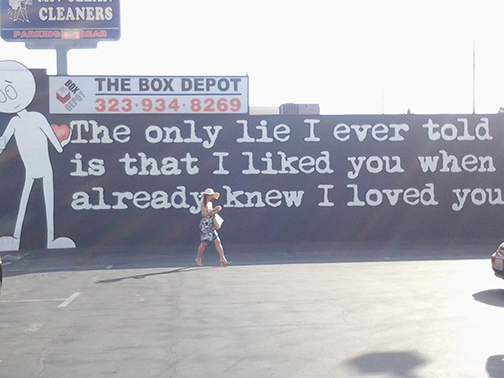 "The only lie I ever told is that I liked you when I already knew I loved you."